The university’s most recognizable landmark is the Coughlin Campanile, a pinnacle that can be seen from miles away from any direction. At 165-feet, it is the state’s largest chimes tower. Those who can summon the energy to climb the 179 steps to the indoor viewing platform can get a good look at Brookings and beyond. 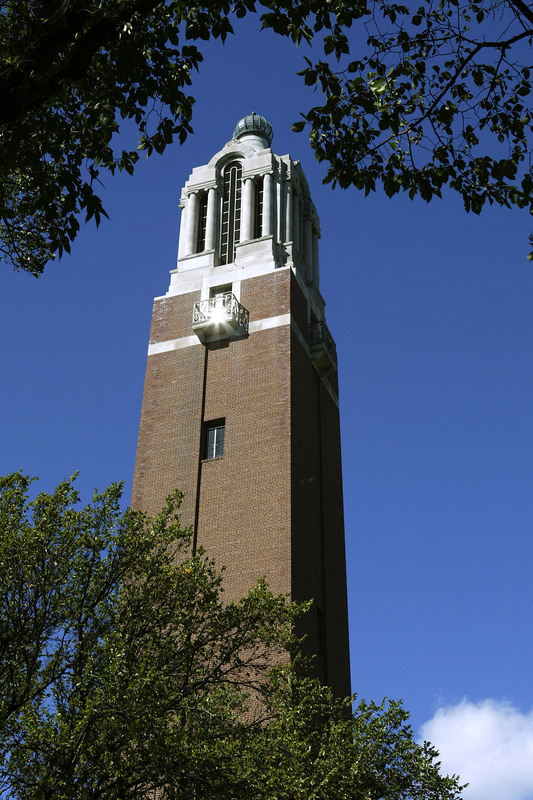 Constructed in 1929, the campanile bears the name of benefactor and alumnus Charles Coughlin, who became the head of Briggs & Stratton Corp.
Views also are available from lower levels and there is no fee to enter. However, climbs must be made during daylight hours. Lighting within the tower is minimal. Entrance is from the south door. The key can be checked out at Tompkins Alumni Center across the street or the University Police Department across the street and a block north.